Guinea pigs are adorable pets that a lot of people love. If you have one, it is definitely going to be your goal to keep it healthy and robust. While there are a lot of ways you can do this, it is essential that you pay close attention to what you feed it. Like humans, the food you feed your guinea pig with is either going to affect its health negatively or positively. Since that is the case, it is wise that you do some research before feeding your guinea pig with any fruit or vegetable, irrespective of how nutritious you think it is. One vegetable that is likely going to come to your mind, when planning the diet of your guinea pig is broccoli. Truth be told, broccoli is a rich and fibrous vegetable, loaded with important antioxidant. But is it really suitable for guinea pigs? If yes, how can one tell if they’ve had enough? Can guinea pigs eat broccoli all day? Can you feed my guinea pig with broccoli stems? Can you feed your guinea pig with fresh broccoli every day? According to the American Animal Hospital Association, guinea pigs should be fed pellets made rich from nutritious ingredient and should contain at least 16 percent crude protein. To ensure that your guinea pig has all the essential vitamins it needs to grow and develop, it is vital that you feed it with a small amount of fresh hay daily. There are a handful of veggies you can use as a dietary supplement. Give these supplements to your guinea pig in a tiny amount. While there is no rigid rule about feeding guinea pigs, it is wise to keep any food other than food pellets made exclusively for guinea pigs below 10 percent of their full diet. Many newbie guinea pig owners have the notion that all vegetables are good for guinea pigs since they are herbivores. Well, that is entirely untrue. You see, some veggies are more nutritious than others, and some should be avoided. This leads us to the question of the day- can guinea pigs eat broccoli? The answer to that question is yes. Before racing to the vegetable shop in your area or the mall to get tons of broccoli for your adorable guinea pig, there are some things you must know. As you probably know, no two vegetable are made the same. Just like fruits differs in sugar content, fiber and benefits, so does vegetables. Broccolis are cruciferous vegetables grouped along with veggies like kale, cabbage, turnips and so on. 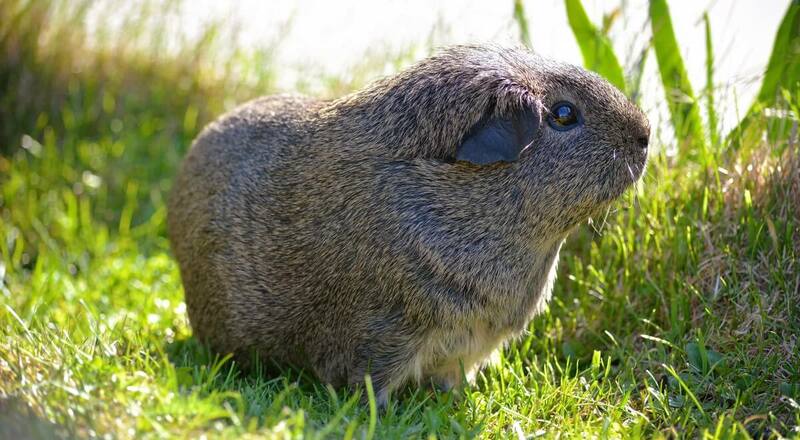 Among the group, broccolis offers the most benefits as it is loaded with iron, calcium, and other vital nutrients essential to the well being of your guinea pig. It has high amounts of essential vitamins like A, B5, and C.
Since, broccoli is a super vegetable that contains the essential nutrients, minerals, and vitamins needed for the growth and development of your guinea pig, you are likely going to consider feeding it all day. But, is it healthy to feed guinea pigs with broccoli all day? Vegetables are an essential dietary supplement for guinea pigs. Along with the health benefits they offer, they are a suitable replacement for the many unhealthy treats on the market. Many of the treats you see at the mall isn’t going to do much good for your guinea pig, in fact, it may affect the health of your guinea pig negatively. Some of them contain a high amount of artificial sweeteners. Unlike humans, guinea pigs will be happy when it is given veggies as a treat. Broccoli is the near perfect vegetable that can provide extra vitamin C for your adorable guinea pig. Vitamin C is a big deal for guinea pigs because their body chemistry makes them vulnerable to vitamin C deficiency. Also, vitamin C facilitates the metabolism of cholesterol, carbohydrate, and amino acids. At this point, you are probably going to be wondering, if you should feed broccoli to your guinea pig raw or you should cook it for a while. To ensure that your little guy gets the most out of the broccolis you feed it; it is wise that you learn the right way to prepare it. When it comes to preparing broccoli for your little piggy, it is best you feed it raw, not cooked. The apparent reason for this is that the cooking or boiling process removes essential minerals and nutrients. Before feeding raw veggies to your hungry guinea pig, it is essential that you wash it to reduce its bacterial load and other health dangers. The simple answer to that question is yes. You see, guinea pig eats broccoli stems the same way they eat broccoli leaves. So you can feed your guinea pig with raw cut off stems and leaves when cooking your own dinner. You surely now know that broccoli is an excellent vegetable for guinea pigs. At this point, you are likely going to be wondering if you can feed them with it every day. However, you need to keep in mind that broccoli is a supplement and not a food staple. So you shouldn’t feed it will broccoli until it is satisfied. Keep in mind that excess leafy greens can cause gas in your guinea pig. You don’t want that. Before making broccoli a staple part of the diet of your guinea pig, it is essential to check to see if it is accustomed to eating it. You must be careful not to give it too much within a very short period. If your piggy is new to it, gradually add it to its diet. This may be difficult at first, but if you can pull it off, your guinea pig is going to become healthier.